I wish you well. May your table be graced with lovely women and good men. May you drink well enough to drown the envy of youth in the satisfactions of maturity. May your men wear their weight with pride, secure in the knowledge that they have at last become considerable. May they rejoice that they will never again be taken for callow, black-haired boys. And your women? Ah! Women are like cheese strudels. When first baked, they are crisp and fresh on the outside, but the filling is unsettled and indigestible; in age, the crust may not be so lovely, but the filling comes at last into its own. May you relish them indeed. May we all sit long enough for reserve to give way to ribaldry and for gallantry to grow upon us. May there be singing at our table before the night is done, and old, broad jokes to fling at the stars and tell them we are men. We are great, my friend; we shall not be saved for trampling that greatness under foot … Come then; leap upon these mountains, skip upon these hills and heights of earth. The road to Heaven does not run from the world but through it. The longest Session of all is no discontinuation of these sessions here, but a lifting of them all by priestly love. It is a place for men, not ghosts—for the risen gorgeousness of the New Earth and for the glorious earthiness of the True Jerusalem. We are at the end of 2015, a year that I have to say I am glad to see away. We have struggled and we have celebrated, and through it all we have been reminded that this world is but a shadow of what is to come. There will be sort of like here, but better, greater, more glorious, more than our imaginings can imagine. At the end of 2015, I echo the words of Robert Farrar Capon above – “Come then; leap upon these mountains, skip upon these hills and heights of earth. The road to Heaven does not run from the world but through it.” I hope you have celebrated the season with a fullness and richness this year that has nothing to do with the presents that were under your tree but were more about savoring the gifts of God. I pray that we would carry forth in the same way into 2016, ever watchful for the beautiful and the joyful. I will see you next year! This is the week. Tomorrow is Christmas Eve, the next Christmas Day. All our preparing, shopping, baking, and planning often come down to these two days. Where has your striving led you this year? Have you worked yourself into a frenzy, setting yourself up for disappointment (again)? Have you put everything off until the last minute, and now find yourself impatient with family, friends, and the mailman? Or are you taking intentional moments to #celebratetheseason? For decades, a branch of my family tree has had a reunion of sorts on Christmas Eve. We have turkey and dressing, sides, desserts, kids play, adults tell tall tales, and generally everyone has a great time. It is a standing date and time on the calendar, and no one really ever asks, “Are we doing it this year?” because it’s just assumed that we are. When I was little, my aunt’s peanut butter balls (buckeyes to our friends from the north, but since we are most decidedly Southern, we don’t call them that) were a centerpiece for the little ones – myself and my cousins. The original recipe has been lost, but the one that I now use is a good substitute (courtesy of Katherine Magnuson). This is an easy candy to make, and kids can help. The recipe makes around 50 walnut-sized balls, so if you don’t need that many, you can reduce the amounts to suit your needs. Mix together to make a stiff playdough-like dough. Adjust amounts depending on how sticky or dry the dough is. Form into balls, and dip into chocolate bark. It’s really that easy! Are you ready for Christmas to come? Are the gifts wrapped and the food prepared? What about your heart? Are you really ready for the coming of Christ, or is there no peace on earth (or at least, not in your house)? He is ready and waiting to give you that peace. Spend some time with Him today. Can you imagine young, innocent Mary, confronted with the question that is posed to all of us – will you serve the Lord? Will you accept what He gives? Will you gladly submit to His will for you? God calls each of us to something – to be a mother, an employee, a spouse, a single person, a writer, a baker, a musician, a lawyer, a plumber, a teacher, an accountant, and on and on. Sometimes he calls us to hard things – illness, job loss, a broken heart, sadness. Through all of it, He calls us to follow Him. What is He calling you to do today? Whatever it is, do it with all you have, because this is the task He has given you. You may have picked up on the fact that I love Christmas food (this may be an understatement). The stretch from Thanksgiving to New Years is a great excuse to pull out baking and candy-making skills. The great thing is there is something for everyone, whether you have a degree in Julia Childs or just in opening a cake mix. One of the easiest and most fool-proof things that I make is candy bark. Basically, you can pick your favorite chocolate and add in whatever combination of sweet and salty sounds good to you. One of my favorites is to melt three bags of white chocolate chips with a tablespoon of vegetable oil, and then combine with craisins and pistachios. Spread it out on a sheet pan and let it harden before you break it by hand into pieces. It’s that easy! I can’t get enough of Christmas music. We are very involved in our church’s music ministry, and this is my favorite time of the year for church music. There are so many beautiful and inspiring arrangements of new and familiar songs. But there are also some silly Christmas songs too. This is one of my favorites. Remember, folks, this is satire! Laugh and enjoy! In our social-media obsessed world, I am afraid that we have forgotten what it actually means to be, well, social. To greet our friends and strangers, to wish them good tidings and peace on earth. To spread Christmas cheer to everyone we meet. This isn’t a fake cheer that fails to acknowledge the evil in the world, but an intentional push-back against our self-obsessed, self-indulgent world, seeking ways to encourage and love those around us. Especially in light of the shooting in San Bernardino, California, I am burdened that we embrace the lost art of kindness, including to strangers and those who are different than us. Our natural reaction is to strike a defensive posture, to assume that the person at the post office is a terrorist, and so we treat strangers with contempt, reacting from our fear. How would the world change if we chose to assume the best, and to treat friends and strangers with lavish kindness? Could we, person by person, change the course of violence in our world if we just showed love and compassion in tangible ways? Christians, we are commanded to love everyone, to extend grace, to demonstrate kindness to everyone we meet, all because of the extreme love and mercy extended to us in Christ. Today, while you are running errands, working, carpooling, or wherever else life moves you, be intentional to find ways to spread some Christmas kindness to those you meet. Be generous with your smiles, kind words, Christmas wishes. You may make all the difference in someone’s day. You may change the course of someone’s life. Holidays in the South just don’t happen without some sort of congealed salad. There are lots of variations on this theme (strawberry pretzel salad is probably my personal favorite), but this cranberry salad is one that my mother made for many years. Dissolve jello in boiling water and stir until dissolved. Add pineapple, cranberry sauce, and nuts; chill. I have an arrangement of “Silent Night, Holy Night” writt en for solo piano, arranged by E. E. Crerie, and published by a company called Volkwein Bros. in Pittsburgh in 1917. I can’t remember if it was a piece of music that my mother had from her years of piano lessons, or if it something that my piano teacher gave to me. I know it was a hand-me-down – it has markings all over it that I didn’t make. The paper is old, and showing its age. The arrangement has a very old-fashioned feel to it, no syncopated rhythms or modern chord structures. It even has a section where the left hand crosses over the right! I will play it at any and all opportunities during the Christmas season, even if just for myself at home. I’ve played it since I was a young teenager, and my Christmas-listening just isn’t complete without it. 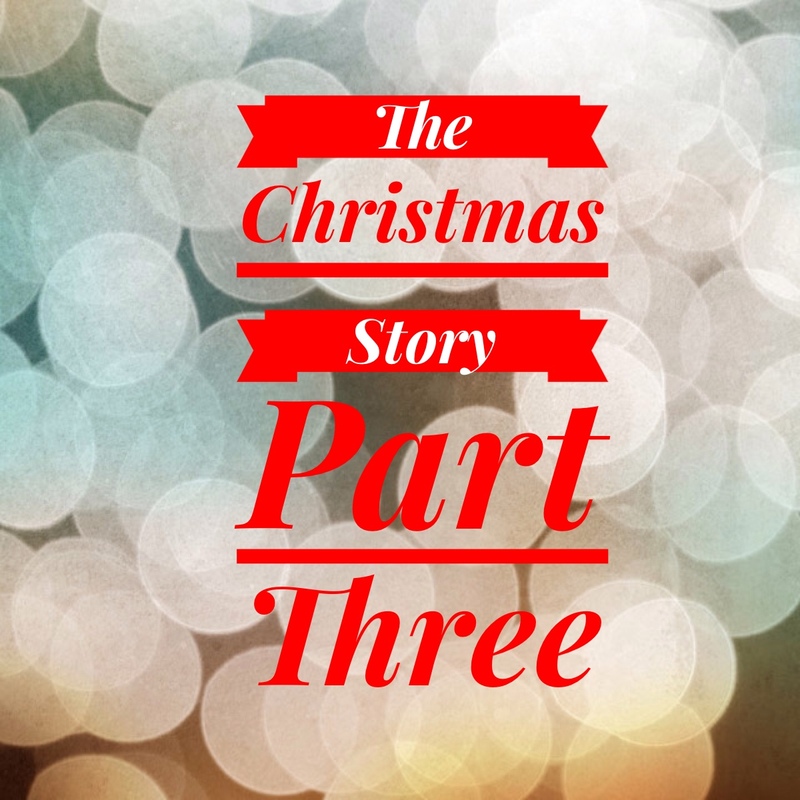 Like the author Luke and Theophilus, his audience, let’s take some time this Christmas to remember that this is not just a nice story. It is a TRUE and RELIABLE story, the story of our redemption and salvation. 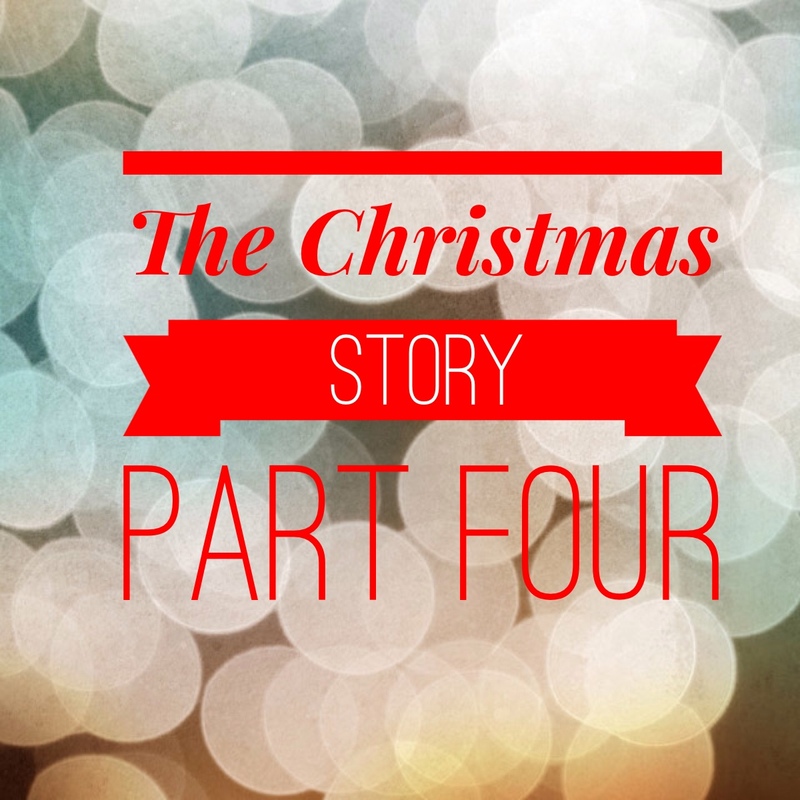 The story of how a perfect God rescued an imperfect people. 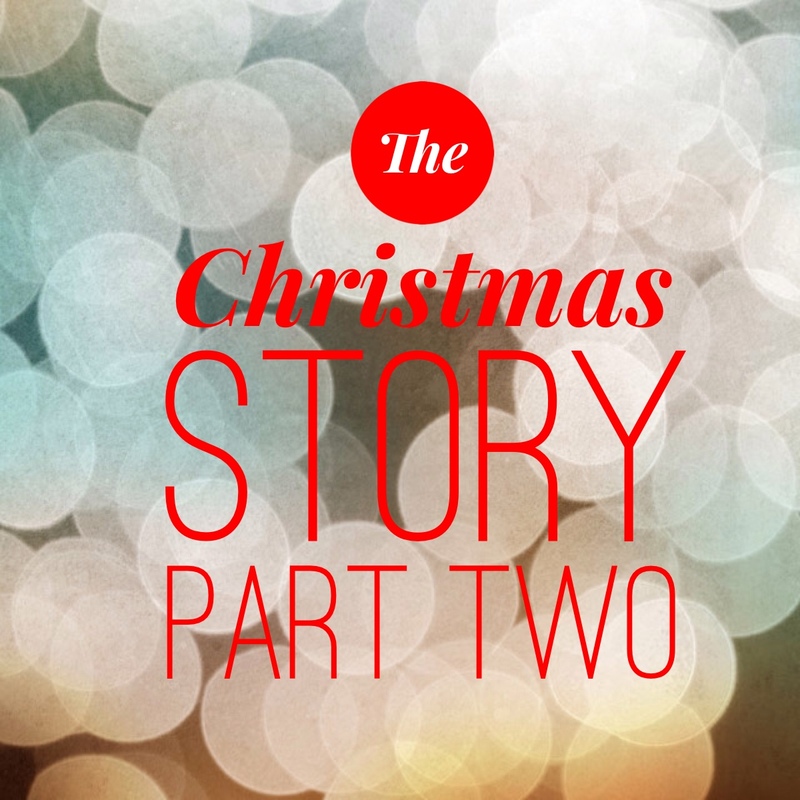 We are supporting characters in the story, but it is HIS story – the story of God become man, sent to dwell with us. This is an irrational season. We use our wonder, our imagination, to believe – to trust, have faith – that an infinite God came to live among us as a tiny baby. It is not reasonable. It doesn’t make sense. And yet God, who is full of surprises, did just that. Sit is awe of this reality. Soak it in. Believe it is true. Sometime in 2003, Chris and I went to the Wakefield-Scearce Gallery in Shelbyville, Kentucky, and while wandering through rooms filled with beautiful antiques and hand-crafted silver, I found a room filled with carolers – specifically Byers’ Choice Carolers – and I fell in love with the little hand-carved faces. For each of the last 12 Christmases, I have added one new caroler to my collection. The past two years, Henry has gotten in on the fun and picked out some animals to go with our collection. We have fun walking in the store and picking out one we think would like to join our mantel. I hope you will join me each Wednesday for the month of December as we celebration the season with music, food, and traditions. I also hope you’ll join in the fun and share some of your own favorite things! You can also find me on Instagram as we #celebratetheseason! Joseph was a righteous man. If he had not been, he could have publicly humiliated and stoned Mary for being found to be pregnant before their marriage. God’s law was important to him. Joseph was a good man. Although not mentioned many times in the pages of Scripture, Joseph took on the task of raising and caring for God’s Son. What an awesome responsibility! How often do you imagine that Joseph felt the weight of the universe on his shoulders? Many songs and books have been written about Mary’s sacrifice, but Joseph cannot be left out of the Christmas story. He was the head of the family that included God’s Son. Joseph shepherded his family through good times and bad, to Egypt and back again. 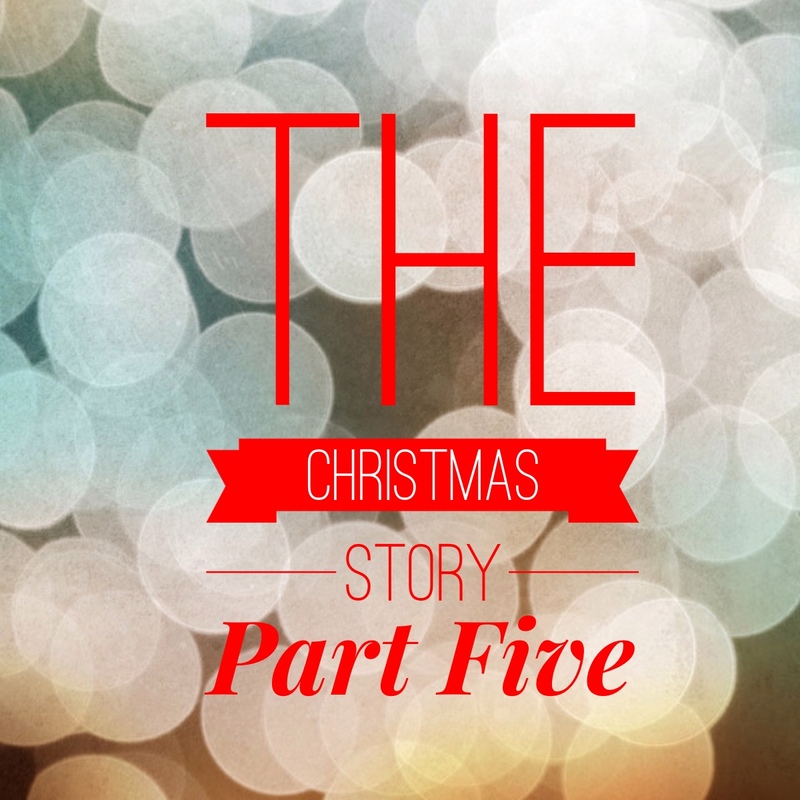 Obedience to the call of God is a recurring theme throughout the Christmas story. Today, God calls you and me to obey Him. May our obedience to Him this Christmas season be evident to the world around us, giving us the opportunity to share God’s marvelous gift with a lost world. Really take in the magnitude of Mary’s answer to the angel – “I am the Lord’s servant. May it be to me as you have said.” Rarely (if ever) have I responded to anything in this way. Mary’s reaction to the angel’s news was complete submission to the will of the Father without consideration to her own wishes or desires. Her path would not be easy, and one that I doubt she would have chosen for herself. But what if God asks me to endure hardships? What if someone is more successful than I am? What if my family is not as peaceful as I had dreamed? What if I face disease, job loss, or an uncertain future? Am I still able to say with Mary, “I am the Lord’s servant”?